Mary-Kate and Ashley Olsen are at the head of the megamultimillion-dollar company, Dualstar Entertainment Group. Now they are adding fragrances to their already impressive fashion portfolio. The two new scents are expected to launch in stores before Christmas! Singer/songwriter Ben Taylor, son of James Taylor, is playing in London at the Islington tonight! His new album Listening was just released, so give it a listen. 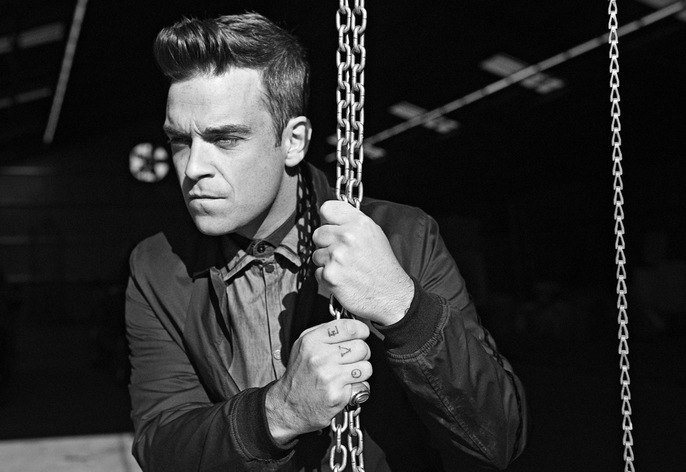 Robbie Williams menswear collection has been receiving strong reviews and can now be found in Selfridges, House of Fraser, and now his very own store front in Covent Garden! Sophistication and style is what you will find, classic pieces with a modern twist. Must-have pieces for the modern man’s wardrobe. Yesterday Tiger Of Sweden closed 3 days of shows at MBFW in Stockholm. 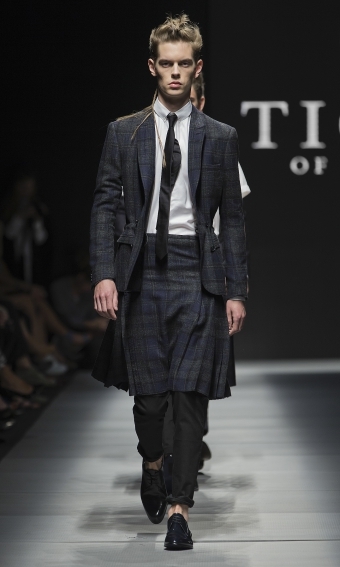 The 2 gender collection titled ‘Poetic-Punk’ had a neutral colour scheme through the whole show. With womenswear using hard detailing to contrast the barely there pastels, and the menswear had a hard look across the whole collection with micro-patterns offsetting the monochrome. We loved the tartan prints, the mix of leather and sheers and just the whole collection in general! 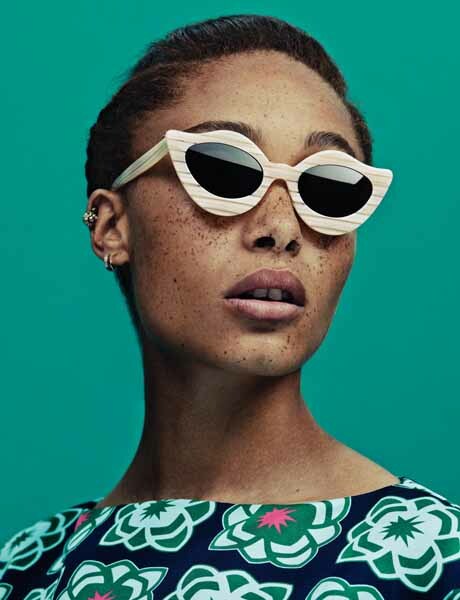 House of Holland Eyewear take 3! 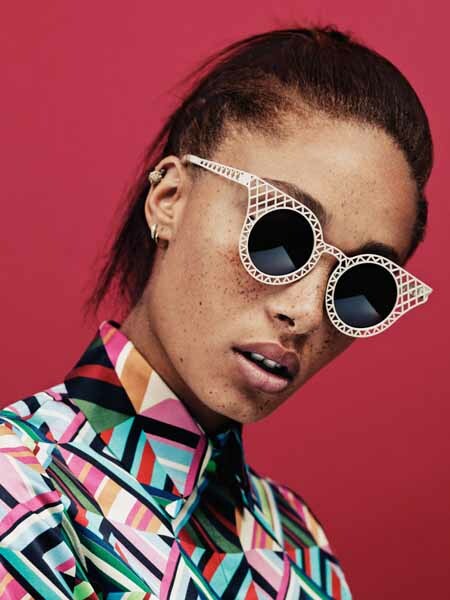 Henry Holland has unveiled his third HoH eyewear collection. The collection sees new colours of some of their best sellers, along with new shapes and frames. The collection is bang on trend with mirrored lenses and retro shapes, including unisex styles so everyone can get a piece of the action! MTV’s VMA awards did not disappoint this year! There were shocks with awards and shock performances. But for us it was all about the outfits! With Lady Gaga wearing top-to-toe PVC and changing 5 times during her applause performance. Taylor Swift looking chic in Herve Leger by Max Azria, Selena Gomez looked all grown up in Versace and Miley Cyrus, well she didn’t wear much at all! But Rita Ora stole the show in a Alexandre Vauthier Couture bejewelled top with an extravagant feathered skirt, which required 2 people to follow her down the red carpet and re-adjust the skirt for every photo opportunity! 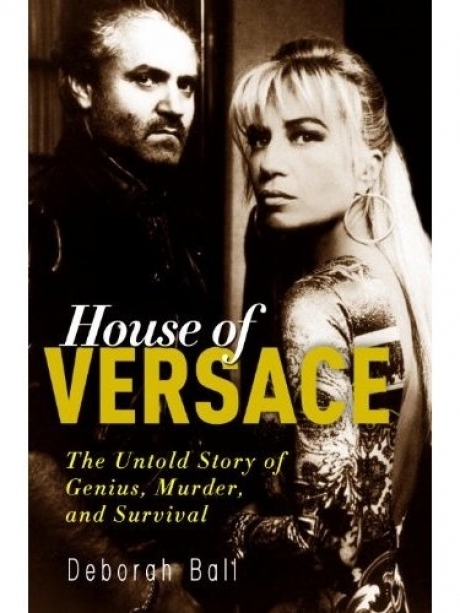 The Donatella Versace movie is on it’s way! Premiering in the US in October (we will have to wait a little longer). Gina Gershon will play the fashionista and we’re hoping some of Donatella’s famous friends will be making cameos too! Not to mention the wardrobe, hair and make-up and settings! Yeah you could say we’re looking forward to it! Launching in October to support Breast Cancer Awareness Month, nails inc. have revamped their ‘Paint Your Pinkie Pink’ campaign from last year with the help of Matthew Williamson and Poppy Delevingne. The glitter pink polishes that the brand use for the 2012 campaign will have 2 limited edition caps, designed by the partnership. The polishes will cost £11 with £1 going to charity, alongside their #spotthepinkie twitter campaign for every tweet sent using the hashtag followed by a picture of a bottle or a painted pinkie 10p will also be donated. Check out Jylle Navarro’s neon flying saucer head piece in this new video from MC Gaff E and The Beast.